The Board of Control for Cricket in India announced the Indian Squad for the upcoming tri series. Yuvraj Singh has been called back while the likes of Gautam Gambhir, Sachin Tendulkar and Harbhajan Singh have been rested. Even though India lost Yesterday’s match, no one from the Indian side was sad. Thats because there was no Normal players in the team. DK, VIjay, Kohli, Rohit, Dhoni, Yusuf, Raina, Jadeja, Sree, Tyagi and Mithun were yesterday’s 11 on the field. No Sach, Viru, Gauti, Yuvi, Bhajji, Ashish, Praveen and Zak. So it was a real test for the newbies and other players to cement their places in the team for the World Cup next year. With major players missing out, the bench strength was tested and it really proved to be weak. The bowling department struggled especially the newbies Tyagi and Mithun went wicket less. Sree too did not bowl like the senior in the bowling department. India should test out different opening pairs if the trio of Gambhir, Sehwag and Sachin misses out. Yes, the openers also were tested it proved a failure. Vijay did not capitalize on his start, DK perished soon. The boys in the middle order were too tested as the openers were back in the hut soon. Rohit and Virat put on a good partnership but did not make it into centuries. There was a controversy on Rohit’s selection because of his poor run. But, he made an effort to cement his place but was not successful enough. When he was about to make a fifty, he try some cheeky shots to lose his wicket. Even Yusuf Pathan was not a big hit in the tournament. One benefit of him is that he can hit far and his strike rate is more than 80. But the problem is he cannot stay for longer time. When he is good touch hitting sixes and fours or had the right start, he tries to hit more and more runs, then gets out. So, backup for the team is very weak. The same method should be followed for the upcoming Sri Lanka series in August and more lads should be sent to the Island. Since the Indians have taken the Micromax Mobile Cup, they seriously are going to experiment in the third and final ODI against South Africa in Ahemedabad by implementing some young lads into the squad. The selectors have given a rest to the Almighty Sachin Tendulkar(u might be thinking what???). Wished he played and scored another century. Virender Sehwag too has been rested alongside Harbhajan Singh. So, There will be a new pair of openers for the last one day because Viru and Tendu is rested. And, Gauti, Yuvi and Zak are not been included in the side as they have not yet recovered from the injury. Rookie Pacer Abhimanyu Mithun and Tamil Nadu player Murali Vijay have been included in the side. Vijay and Karthik, both the Tamil Nadu mates will open the innings for the Indian team. The Board of Control for Cricket in India, after seeing the shameful performance by the Indian team in the first test which ended today, have made three major changes to the Squad for the second test match which is starting on 14th, just a 4 day gap. Wriddhiman Saha, the Bengal keeper who played a cameo role of 36 runs has been replaced one of the most experienced wicket keeper of India, Dinesh Karthik. The Tamil Nadu Skipper was dropped and Saha was surprisingly selected ahead of him. But now again Karthik is recalled. Everything happening is strange! The Veteran batsman, VVS Laxman though has not recovered from his injury so he is not picked up. Rohit Sharma was a selected as a cover for Laxman, had suffered a ankle injury just before the start of first test is been replaced by the One Day batsman, Suresh Raina. 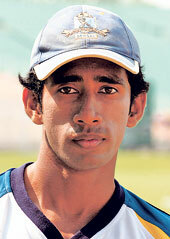 The Seamers Sudeep Tyagi and Abhimanyu Mithun have been axed from the side. S Sreesanth who had suffered an hamstring during the Bangla tour has recovered from his injury and he has been included in the side for the Kotla test. First of all why was Saha selected.? As a backup for Dhoni ahead of Karthik. No one thought he would get a chance. But luckily he got. Now, he was selected as a backup and as a debutant, he did what he could do. Now why is Karthik selected? Saha should have been given another chance. If you would drop him, then why did you pick him? Its stupid selection. First of all, why was he selected? The selectors say that youngsters need a opportunity and so on. But it is sure that he won’t get a chance. Then why did they pick him? Even Tyagi was simply picked! Ok, I accept he was a backup. Ok. Now, Instead of Mithun a batsman could be selected. Even though, Raina is a kind of experienced played, it is not great to debut a batsman in a important series. So, there is likes of Wasim Jaffer. He is a great test class batsman. He has loads of talent and he has represented the Indian side. So, its totally a kind of OK selection! Rahul Dravid, Yuvraj Singh and S Sreesanth who are nursing from their injuries have been ruled out the first test against South Africa starting on Feb 6th in Nagpur’s VCA. Even VVS Laxman who was ruled out of the second test match against Bangladesh with a wrist injury has been included in the side as he has been cured. But, Tamil Nadu Skipper Dinesh Karthik has been removed from the side. While, S Badrinath has been given a chance in the side with his Ranji teammate Murali Vijay who has cemented his place as the main backs are missing out. Badri among the top six batsman in the squad will surely have a test debut. It is surprising that Sudeep Tyagi, Abhimanyu Mithun and Wridhiman Saha have been included in the side. Tyagi is doing well in the domestic circuit and grabbed his opportunity with both hands when he was given a chance in the One Day team. While, the Bengal Wicketkeeper Wridhiman Saha who has been selected ahead of Dinesh Karthik too has been in fine form scoring 318 runs at 38.75 in the domestic Ranji Trophy competition this season. Manish Pandey, Cheteshwar Pujara, Abhishek Nayar, Piyush Chawla, R. Ashwin, Vinay Kumar, Abhimanyu Mithun, Shikhar Dhawan, Umesh Yadav, Manpreet Gony. The first match is set to be played in Nagpur on 6th. SO Watch out for it.